Partner Programs | Communitere: Respond. Relief. Renewal. After Haiyan, Tacloban North was designated as the safest area to build houses due to its distance from potential storm surges during typhoon season. It soon became clear, however, that the building plans required further infrastructure and electricity development. 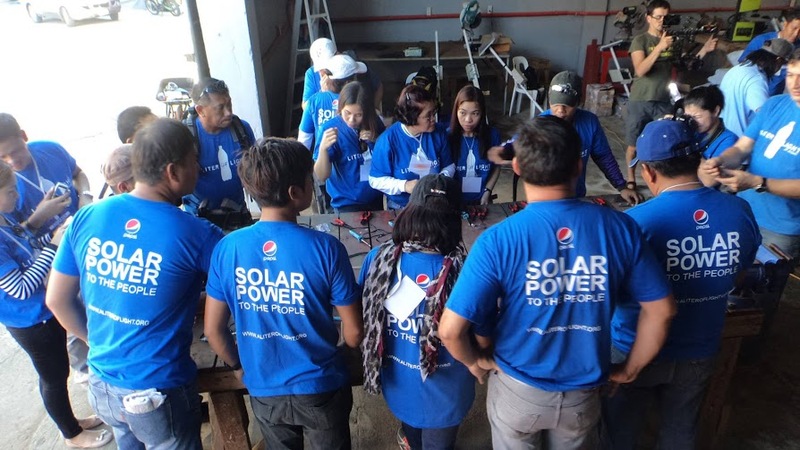 To help facilitate this development, Philippines Communitere partnered with “light ambassadors” from the group Liter of Light, providing the tools and the physical space to work, while Liter of Light gave their technical expertise in harvesting solar power and Pepsi Cola generously provided the resources. 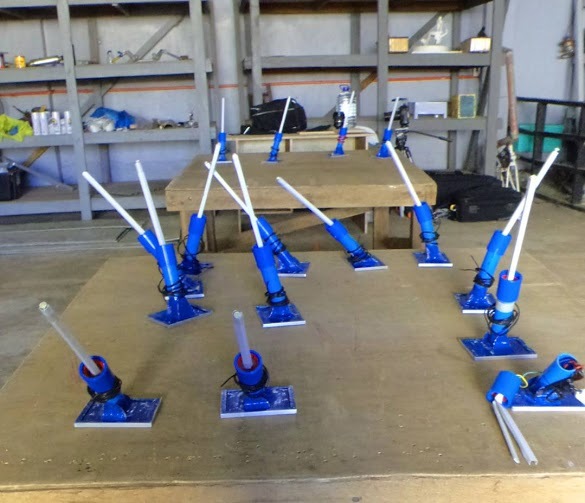 We are proud to say that Shelter Foundation’s project distributed 10,000 illumination units. 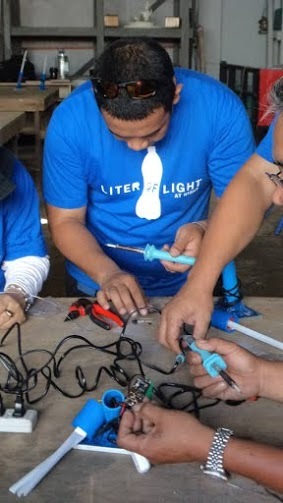 Constructed from a simple design utilizing plastic cola bottles fitted with water and 1-watt LED lamp, these “liters of light” proved useful for close-quartered dwellings which don’t have access to electricity. Success! After super-typhoon Haiyan, it quickly became clear that the primary reason for destruction in Leyte was the 300 kph plus winds. Because of this, Communitere partner, Earthship Biotechture, conceived the design for “Windship,” an insanely innovative, aerodynamic storm shelter that is both cost-effective and typhoon resilient. 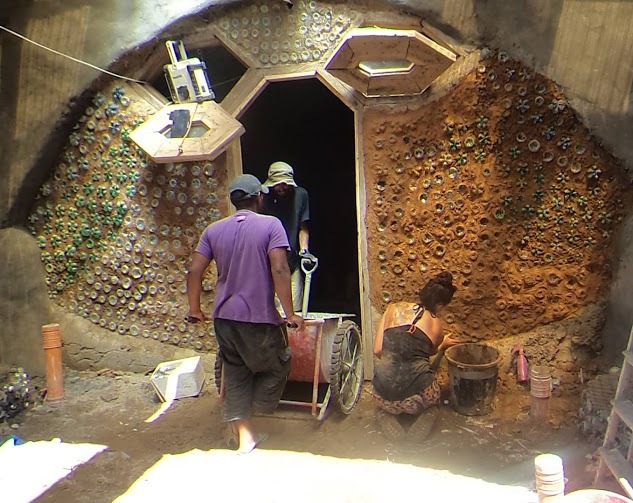 Communitere first worked with Earthship Biotechture four years ago when they built an Earthship at Haiti Communitere; it continues to be one of the most popular bookings for travelers and volunteers there. This innovative partner is committed to creating the ultimate in green buildings, complete with thermal, solar heating and cooling, solar and wind electricity, contained sewage treatment, catchwater and recycled materials. 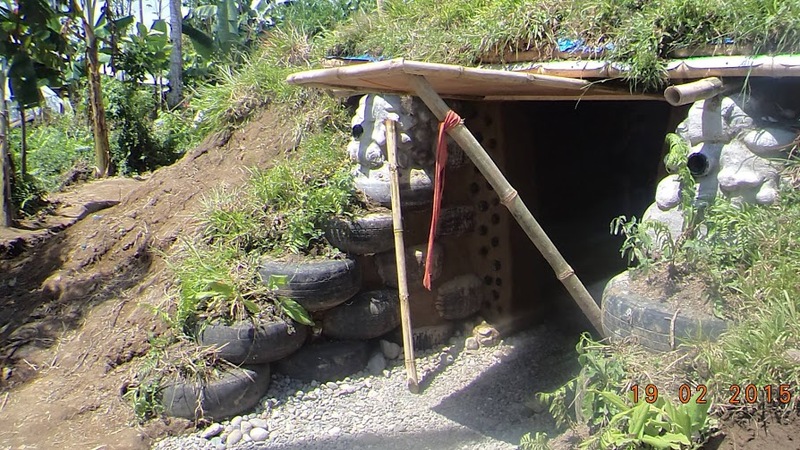 Philippines Communitere supported Earthship Biotechture by lending them tools from our resource center, making constructing these radically sustainable buildings easier for our friends. The prototype Windships that the folks from Earthship built in the affected community were a huge success…. and with Philippines Communitere’s help, they were able to build twice the number of houses, twice as fast!